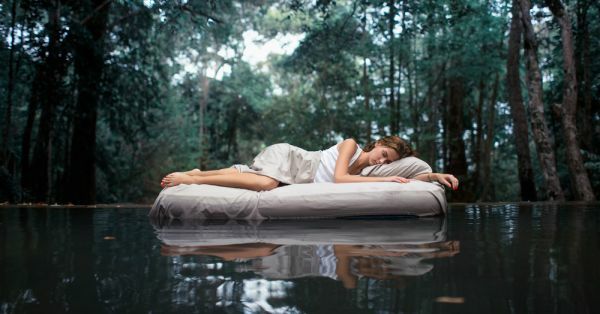 10 Weird Dreams We’ve ALL Had… And Their Real Meanings! Do you know that some dreams have changed the world? For instance the world would not have had extremely hot vampires like Robert Pattinson, if Stephenie Meyers hadn’t dreamed of the idea of the book series, “The Twilight Saga” nor would have we ever heard “Yesterday” by The Beatles, had Paul McCartney never dreamed the melody of the whole song. But that aside, most of us have had some weird yet extremely common dreams. Let’s decipher what these dreams really mean. As terrible as it sounds, it might actually be a good thing. Dreaming about someone’s death, in fact has very little to do with the particular person in question. Death signifies, literally the death of something that you are going through, something that has been bothering you, like a fight with someone, moving into another city, and so on. Death symbolises that you have come to take things for the what they are. It shows that you are one step closer to acceptance. Again, this should come as good news. This dream indicates that you are slowly recognizing your hidden talents. So, don’t be afraid and go explore all that you can do. It could be any test and you could be doing rather badly too. But you have to realize that sometimes no matter how much you study, you will dream that you completely screwed up. However, the point of the dream is that this is a test that you taking on yourself. Just take it easy. As common and as dreadful as this type of dream is, it is actually quite harmless like most dreams are. Teeth falling out symbolizes that you are scared of something in real life and your confidence levels have dropped to a new low, without you even realizing it. This dream is just telling you to recognize what’s bothering you and to work on it. Also read: 6 Simple Ways To Achieve Your Goals – You Got This! If you have a dream about falling (and those dreams can be extremely scary), it means that you are trying very hard to control some aspect of your life and you are afraid that you might lose control over it. It’s okay to let go of some things. Sometimes, you just have to let life take its own course. Or, for that matter, not fully-clothed, leaving you feeling exposed in some manner. What this means is that you are feeling vulnerable about something and that people know why you feel that way. Don’t worry about it, everyone feels vulnerable or weak at some point of time. Unless you are a fugitive on the run, a dream like this does seem quite weird. However, dreaming about being chased often times means that you are aware of a problem that has been looming over your head for a while now and that you are not completely ignoring. This dream shows that you are open to facing the problem and tackling it once and for all. Almost everyone dreams of flying, and it is perhaps one of the most beautiful dreams because it is such an out-of-body experience. However, a dream about flying could mean two things - (a) you want a break from something, you want to be free and fly like a bird, (b) something in your life is spiralling out of control and you don’t know how to stop it. Also read: That WEIRD Dream You Had? Here’s What It Really Means! This dream could either mean that you really want one or, as weird as this may sound, dreaming about babies signifies the birth or inception of something. It could be a new idea at work, a lifestyle change or anything new.